Roseau Dominica – (September 20, 2018) – Telecommunications giant Digicel is partnering with the Discover Dominica Authority and the Dominica Festivals Committee for the staging of the 20th Edition of Dominica’s World Creole Music Festival, scheduled to be held at Festival City, Windsor Park Sports Stadium, Roseau, Dominica, from Friday 26th to Sunday 28th October, 2018. 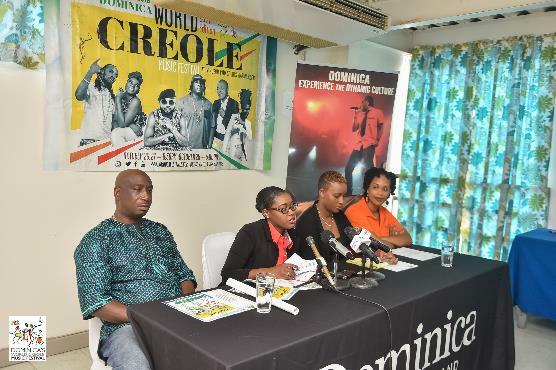 Events Director of the Dominica Festivals Committee, Marva Williams welcomed Digicel’s partnership for the World Creole Music Festival and praised the telecommunications firm for its many years of partnering with the DDA and DFC in the staging of the WCMF. Digicel has been a valued partner of the World Creole Music Festival since 2005. For more information on Dominica, contact Discover Dominica Authority at 1-767- 448-2045. Or, visit Dominica’s official website: www.DiscoverDominica.com, follow Dominica on Twitter and Facebook and take a look at our videos on YouTube.